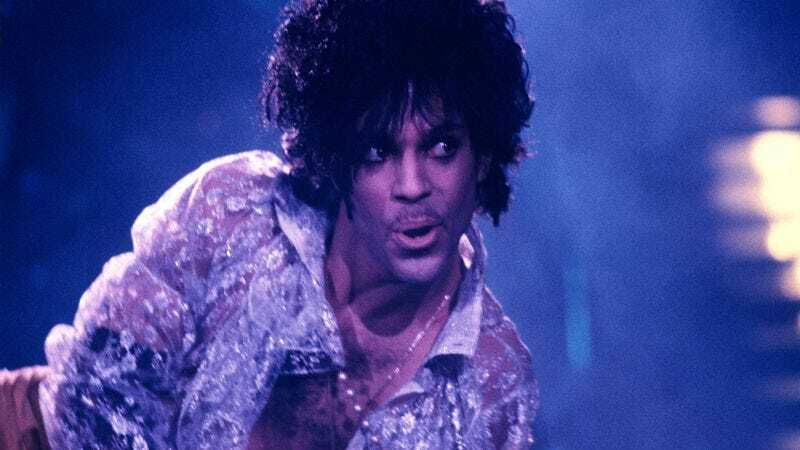 Performing pretty well for a 33-year-old album—and explaining why the arguments and legal bickering surrounding Prince’s music catalog and fabled “vault” of unreleased music continue to be a big deal, money-wise—Purple Rain is suddenly back near the top of Billboard’s Hot 100. Specifically, the album’s deluxe re-release is sitting at No. 4 on the chart of music’s fastest-moving albums, while simultaneously topping the “Top Soundtrack Albums,” “Top Vinyl Albums,” and “Top Catalog Albums” charts, as well. The album was released by Warner Bros., which maintained the licenses to a number of the artist’s earlier works, despite signing a deal in 2014 to return much of the control over his catalog to the man himself. Plans for the re-release—which has reportedly sold roughly 50,000 copies across its various versions—have been in motion since that same period, two years before Prince’s death.